The Irish men's hockey team will face India (world ranked No 7) on August 6 in its in its opening Pool B game at the Rio Olympics. They then face the Netherlands (2), a day later. After a day's rest, they play Germany (3) on August 9, Canada (14) on August 11 and Argentina (6) on August 12. Quarter-finals begin on Sunday August 14. Australia, the reigning World and Hockey World League champions, top Pool A. They will play Great Britain (WR 4 – based on England’s ranking); Belgium (5); New Zealand (8); Spain (11) and hosts Brazil (32). Irish schedule summary - all times local. Friday August 12, 19:30- Ireland v Argentina. Annalise Murphy won the trial for the Rio Olympic Games at the Laser Radial World Championships in Puerto Vallarta, Mexico this week. Murphy, who sailed for Ireland at the London Olympics and is a member of the National Yacht Club in Dun Laoghaire, now awaits confirmation of her place from the Olympic Council of Ireland. Having qualified the Irish boat for the women’s Laser Radial, Murphy’s sole challenger for the place was Aoife Hopkins from Howth YC. Murphy finished ahead of Hopkins in each of the three regattas in the trial, although the margin tightened to just four places. Attention now switches to preparation for a Rio venue that will provide a sharp contrast to more familiar and breezy waters of Weymouth used for London 2012. At the world championships Murphy, a former European Champion, finished out of the top ten. The conclusion of the Laser Radial trials means three of the four Irish qualified sailing disciplines for Rio have now been decided. The men’s single-handed event in the Laser Standard rig will have the final trials event at the World Championships next month, also in Mexico. London 2012 veteran James Espey from Ballyholme YC holds a narrow lead over ISA development sailor Finn Lynch from the National YC. Baltimore’s Fionn Lyden is also a contender. In the 49er skiff class, Ryan Seaton with Matt McGovern and 49erFX sailors Andrea Brewster with Saskia Tidey await ratification of their nominations to the Olympic Council of Ireland. Brendan Irvine and David Oliver Joyce became the fifth and sixth boxers to qualify for the Rio Olympics - and there could be more with the Women’s World Championships in Astana next month and a men's APB v WSB tournament on a date yet to be confirmed. Joyce booked his place when he narrowly beat Turkey’s Volkan Gokcek in the third-place box-off at the European Olympic qualifiers in Samsun, Turkey on Sunday April 17. Belfast flyweight Brendan Irvine had made his place certain when he won his third-place box off against Bulgaria’s Daniel Asenov a day earlier. Katie Taylor has still to make it after her five-year unbeaten run ended when she lost to Yana Alekseevna in Samsun. Italy’s Irma Testa was second runner-up. She got back on track when she won the 3rd place box-off, beating Staneva. Taylor will travel to Astana looking for an unprecedented sixth world title. A place in the semi-finals will guarantee her a place in Rio. Taylor had gone undefeated in 67 championship bouts before Samsun. Paddy Barnes, Michael Conlan, Steven Donnelly and Joe Ward have already qualified for Rio. Seven more boxers could qualify in the remaining qualifiers - Women: Ceire Smith (flyweight), Katie Taylor (lightweight), Christina Desmond(middleweight). Men: Dean Walsh (light-welterweight) Michael O'Reilly( middlewight), Darren O'Neill (heavyweight), Dean Gardiner (heavyweight). Ellis O’Reilly has become the first Irish female gymnast ever to qualify for an Olympic Games the games. The London-based 18-year-old, whose grandfather came from Armagh, qualified for Rio '16 at the Aquecce Rio Test Event at the Barra Olympic Arena, the final qualifying event for the Rio games. She joins Kieran Behan who qualified on Saturday. O’Reilly, an A-levels student, earned her spot at the Rio qualifying event when she finished 98th of 192 gymnasts at last year’s World Championships. Behan went on to take silver for his floor rotation at the competition. 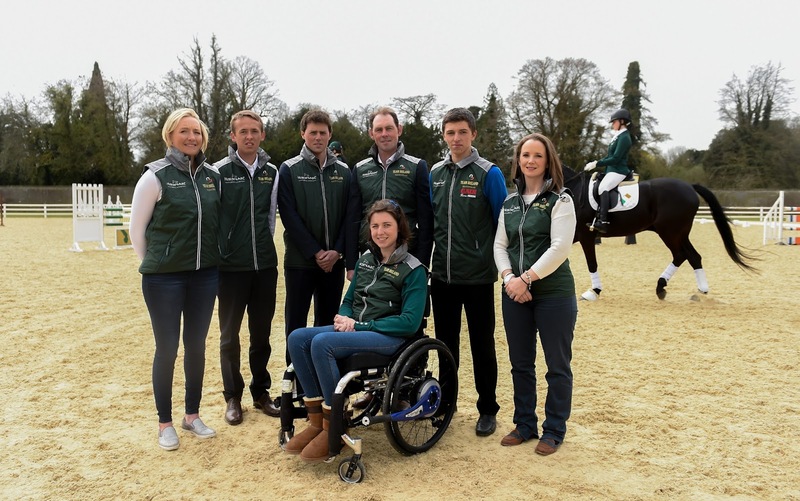 Ireland has qualified seven equestrian places for Rio '16, including a full team of four eventing riders, individual show jumping and dressage riders and one Paralympic place. After impressive results at Nations Cup competitions for the Irish eventing team, including a win in last season’s Dutch Nations Cup finale, the Irish team hopes to improve on its fifth place at London 2012. Since the start of 2015, a squad of ten eventing riders has been training with team manager Nick Turner. While Ireland failed to qualify a show jumping team for Rio, one individual place has been secured. Bertram Allen, Greg Broderick, Denis Lynch and Cian O'Connor are on the shortlist for the spot and all four are part of team manager Robert Spaine's Irish squad for the upcoming Nations Cup of Belgium along with rising star Anthony Condon. In dressage, Kildare’s Judy Reynolds recently finished eighth in the World Cup final against the top riders in the world. Ireland has also qualified one Paralympic athlete for Rio. Helen Kearney won two individual medals and a team medal in London. Kearney and her Paralympic teammates got off to a good start in 2016, when they finished third in the first Para Dressage Nations Cup of the season in France recently. Next big date for the team is the week starting June 7 when Horse Ireland will name the Irish riders they will recommend to the Olympic Council of Ireland.